Headingley Lodge welcomes guests irrespective of age, physical, intellectual or sensory ability. We have developed the access statement to ensure all employees and guests are treated equally according to their needs. 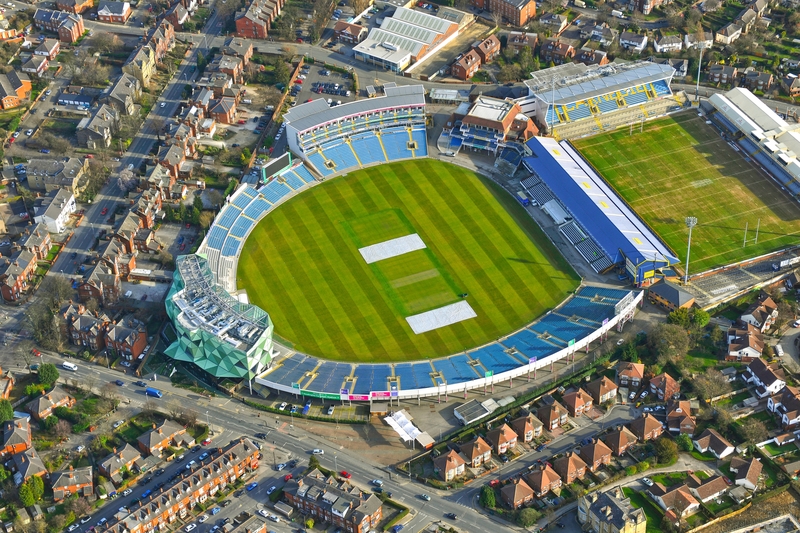 Headingley Lodge is located inside the world famous Emerald Headingley Stadium. Vehicle access is gained via a manned barrier. Accessible buses are available from Leeds city centre. The regular service is bus numbers 56 and 19. These stop on Cardigan Road, which is 0.1 miles away from the stadium. The nearest train station is Burley Park, which is on the Harrogate Line from Leeds city centre and is 0.5 miles away from the stadium. Car parking is available free of charge, however on match days it may be in a different area of the stadium. The Lodge entrance offers a level access with a dropped curb. The entrance door opens inwards, both doors can be opened if needed. The reception desk is 120cm high, however registration can be completed whilst sitting and clipboards available. The flooring in reception is wooden. There is a sofa in reception, please note this is rather low. There is a lift to all floors. All lift lobbies and corridors are short pile carpet. Accessible bedrooms are located on the 2nd and 3rd floors. Wide entrance doors that open outwards. Low level switches and sockets. Roll in shower with grab rails. Flooring in the bathroom is ceramic tiled. Alarm chord in the bathroom. There is also a unisex disabled access toilet on the 2nd and 3rd floor. The door is of wide opening. The floor is ceramic tiled. There are grab rails and a low level toilet and sink. The lighting on the 2nd floor is automatic. Both the bathrooms have a pull chord alarm fitted. The hotel’s fire evacuation policy is that on arrival our disabled guests are asked if they require any help leaving the hotel. All our guests are instructed to leave the building by the nearest fire exit and make their way to the assembly point at the top of car park A. In addition, there are red signs which can be hung on the outside of the bedroom door requesting assistance in case of emergency. These signs will alert staff to the guests requirement to be helped from the hotel. The fire alarm is a continuous siren. A recognised assistance dog is one that has been specifically trained to assist a disabled person and has been qualified by one of the charitable organisations as members of ‘Assistance Dogs UK’. Assistance dogs are welcome in the Lodge. There is no surcharge for maintenance or cleaning fee for customers with an assistance dog. If you require any assistance during your stay please dial ‘0’ from your bedroom phone for the hotel reception or if on your mobile please call 0113 2033893.